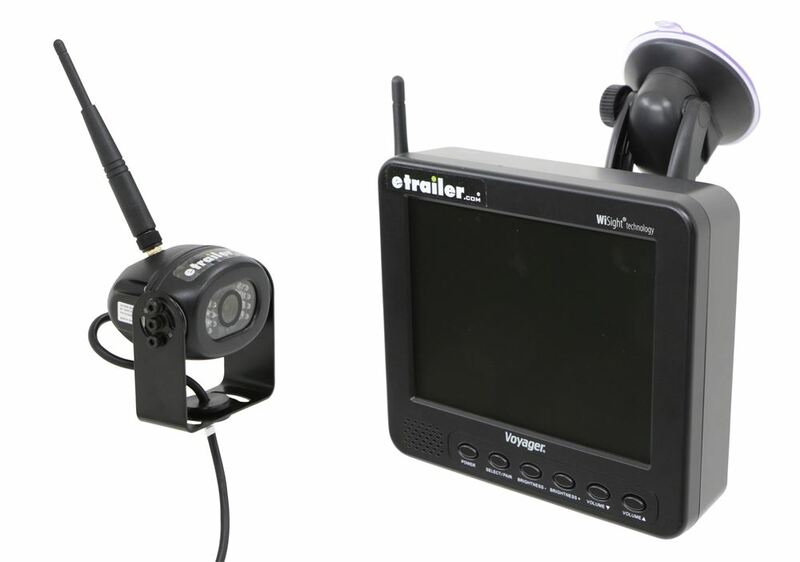 Lowest Prices for the best rv camera from Voyager. 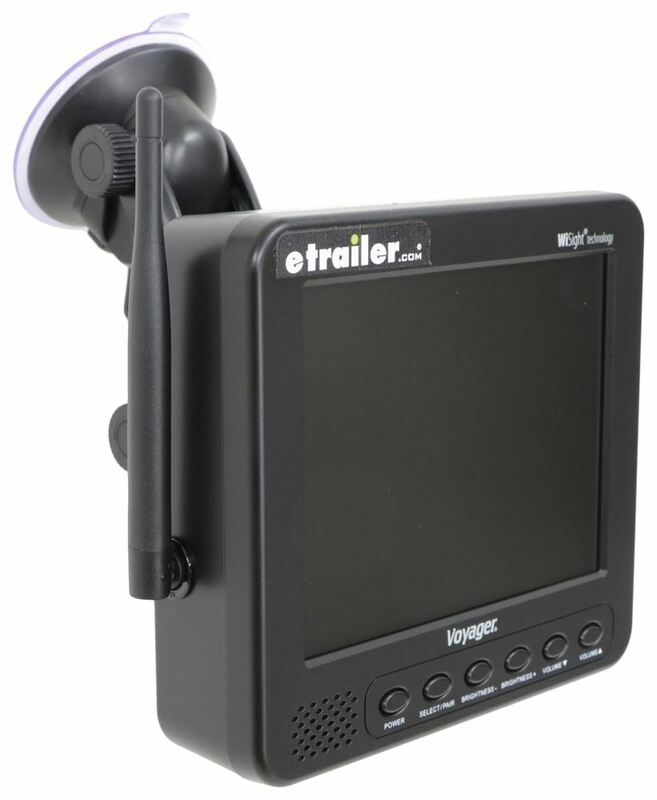 Voyager Digital Wireless Observation System - 5-5/8" LCD Monitor - Wireless Camera part number WVOS541 can be ordered online at etrailer.com or call 800-298-8924 for expert service. 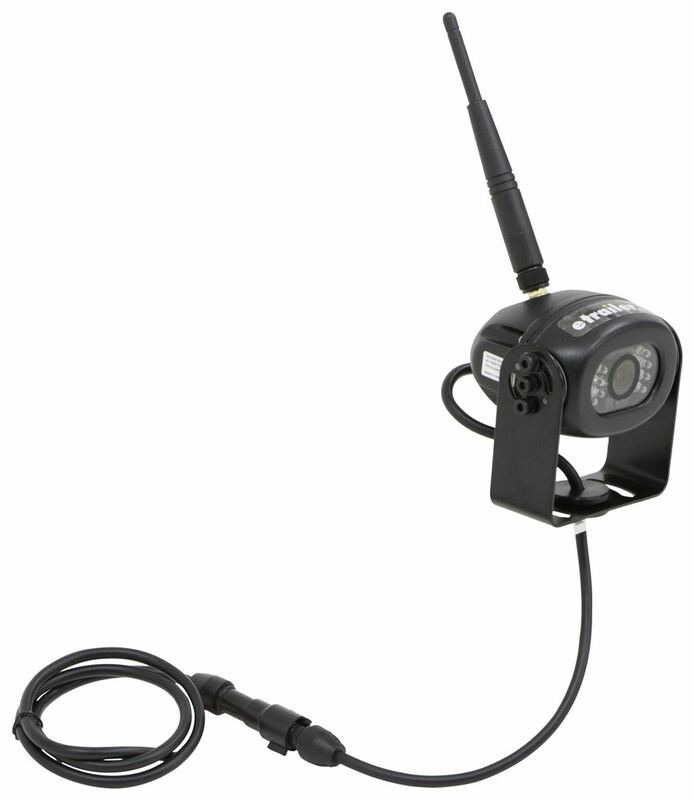 Wireless observation system uses digital transmission to relay images to the full-color, 7" display up to 492' away. Infrared LEDs surround waterproof camera for night vision. Plug-and-play design works with pre-installed mounting kits. Today we're going to take a look at the Voyager Digital Wireless Observation System. Now this system will include everything shown here. 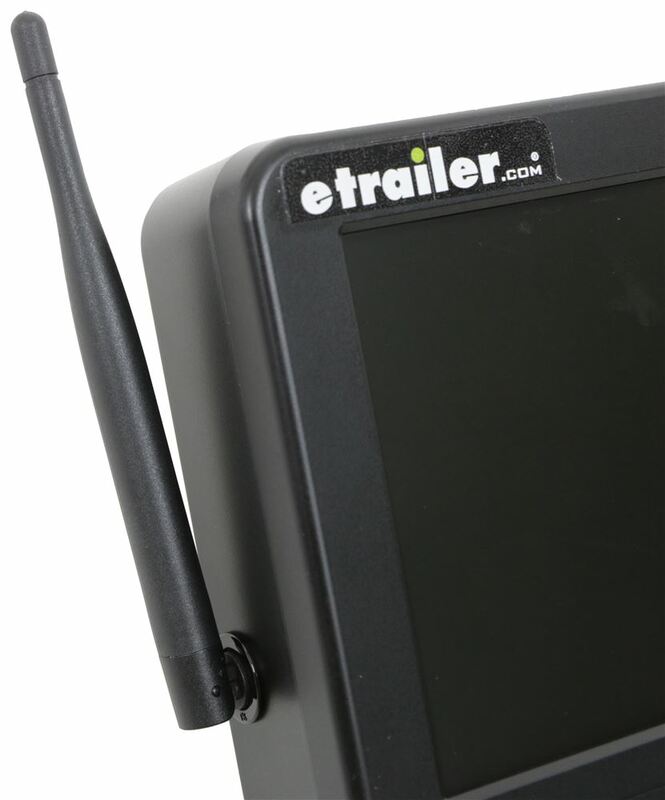 Start with the monitor, comes with a 5-5/8 inch digital, wireless, LCD monitor. Features auto-pairing, the very front here has a built-in speaker. It does use WiSight Technology so no cables are necessary. The signal will transmit through and around objects up to 60 feet away. 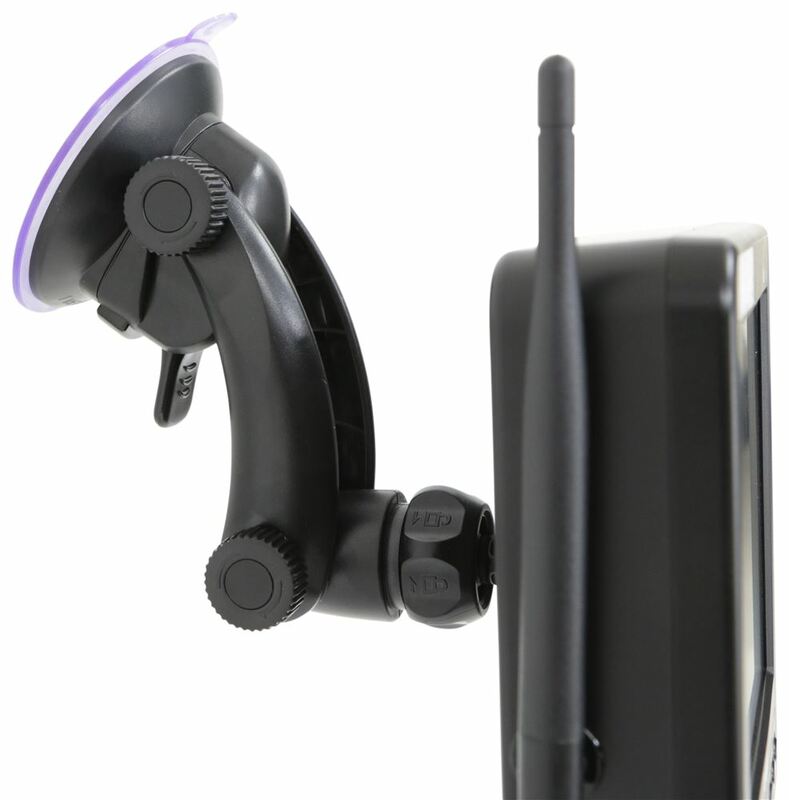 To install it, they do include a suction cup monitor mount that you can bolt onto the back here this way or turn it around this way. 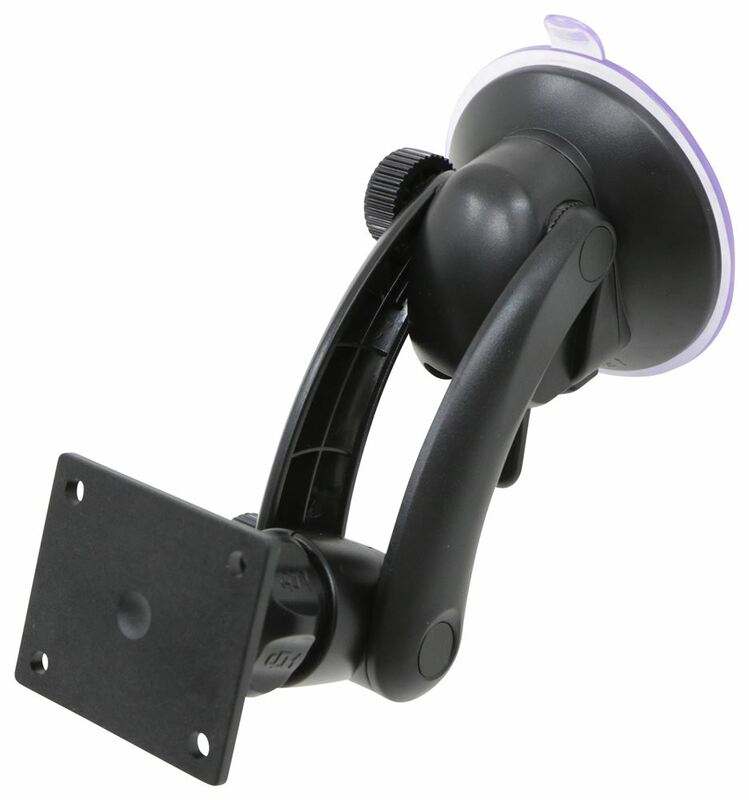 It is fully adjustable, just by loosening the knob, you can adjust it to whatever angle you need. Also, comes with the 12 Volt DC plug. This will plug into the back of the monitor and then you plug it into your DC outlet in your vehicle. This monitor can support up to four cameras. It's a very easy installation. Uses stainless steel hardware. Comes with a nice owner's manual to describe how to use everything. Few measurements on this. We'll give you on the monitor, the overall width, edge to edge, is right at 5-7/8 inches. The heighth, bottom to top, is 5-1/4 inches, and the depth is only 1-1/2 inches deep. 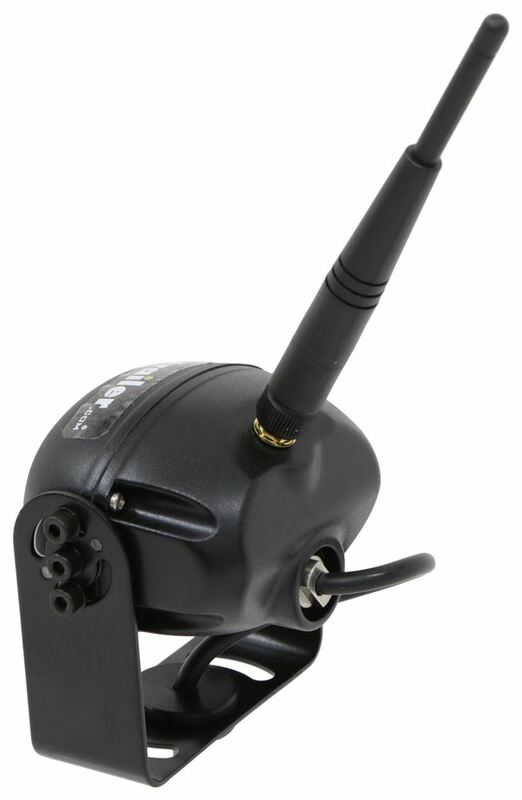 Now the other part of this unit is the wireless color camera that also uses WiSight Technology, gives you long distance transmission receiving capability. It is also auto-pairing. The monitor and the camera are digitally linked. The camera does use high performance color optics, uses the COMS Sensor Technology, and if you look closely around there, it does have the infrared LED low light assist that will help give you a good picture in any low-light conditions. It is also IP69K waterproof design and constructed. It does have an integrated microphone. Does give you a wide view angle and it also is an easy universal installation, with this included mounting bracket that you can mount it to. 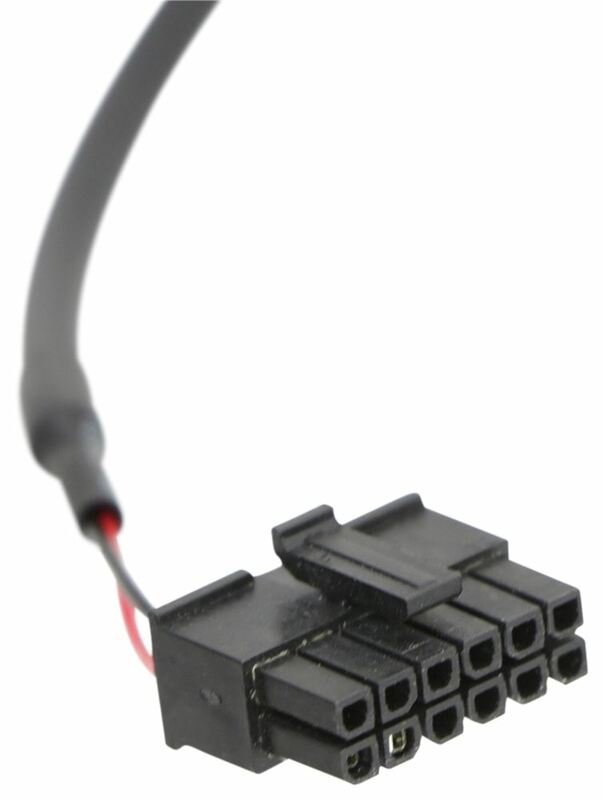 Also has the 12 Volt DC universal power connection, mounting hardware, and it also comes with the owner's manual. Few dimensions on just the camera. You're looking at up 2-7/8 inches wide, over a heighth is right about 2 inches, and the depth is right at about 2-1/4 deep. Now the mounting bracket itself is right at about 3 inches wide and the heighth on it is about 2-7/8 inches high. But that should do it for the review on the Voyager Digital Wireless Observation System. Many different things can cause interference between the camera and monitor. 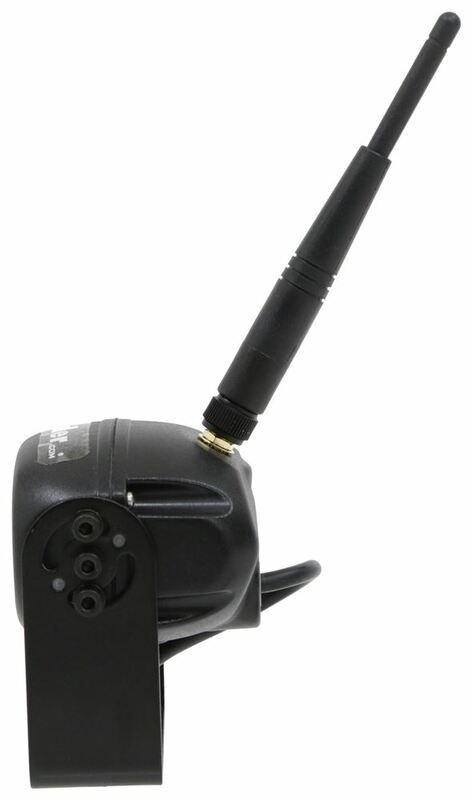 The camera system uses the 2.4-2.5 gHz frequency band. Many other things that use the same frequency, such as WiFi, cordless phones, baby monitors, car alarms, bluetooth and even microwave ovens can cause interference. Do you have a question about this RV Camera? 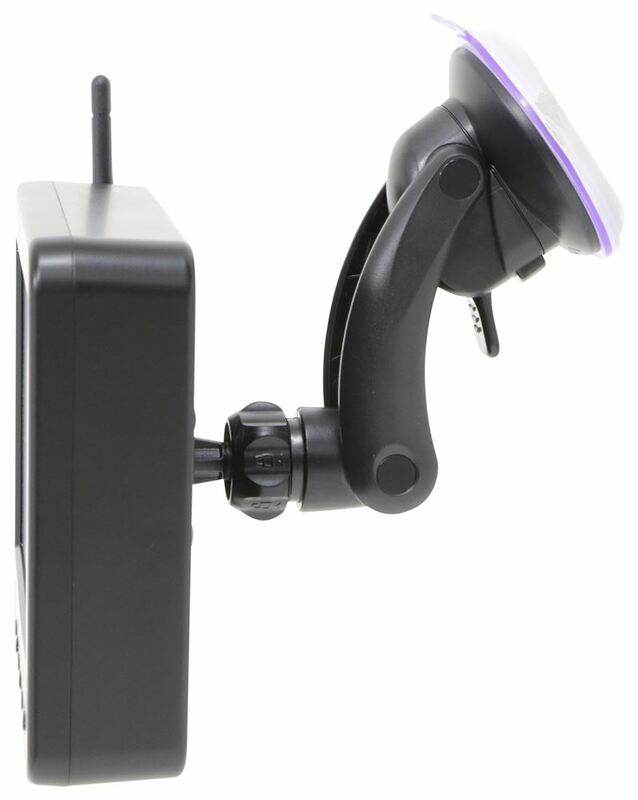 The Voyager LCD Monitor part # WVOM541AP comes with a monitor and camera mount whereas the Voyager Digital Wireless Observation System part # WVOS541 comes with a monitor, camera mount, and camera. They both have the same monitor but the part # WVOS541 comes with a camera as well making it a complete kit. The camera on the Voyager Digital Wireless Observation System part # WVOS541 will need between 10-14 volts in order to maintain proper operation. If the circuit on your Touareg that you are using to power the camera does not supply this amount of voltage then you will want to run the camera directly to the battery with a toggle switch in between. The monitor on the Voyager Digital Wireless Observation System # WVOS541 referenced in your question can indeed be switched so that it shows a mirror image. To do this, you will simply press and hold down the monitor's power button for 5 seconds. You will then be able to select either the "Mirror ON" or "Mirror OFF" viewing option. I have attached the complete installation instructions on this system that you can also check out. Our entire range of vehicle backup camera systems is shown on the linked page. Included among these are wireless options that either include their own viewing monitor or that use a Smartphone to provide the image display. However, none of these wireless systems is made to integrate with the OEM mirror on any vehicle. 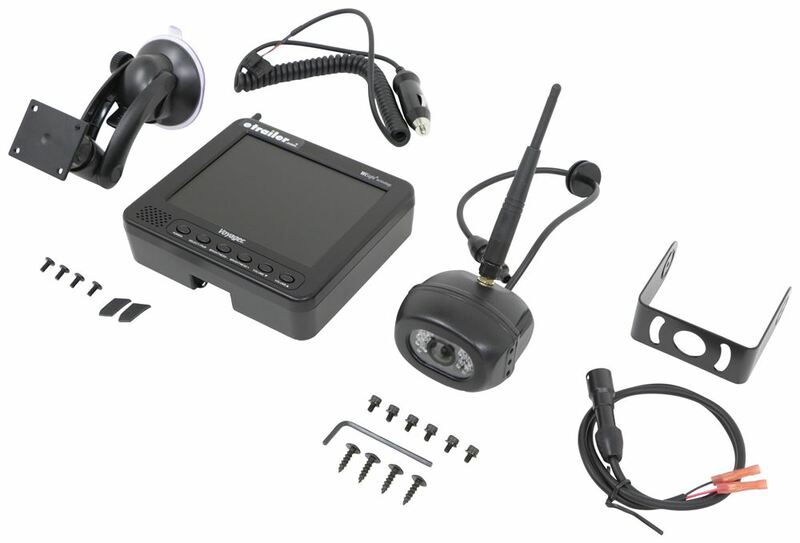 A wireless camera system rated highly by our customers that use it is the Voyager Digital Wireless Observation System with 5-5/8-Inch Color LCD Monitor # WVOS541. 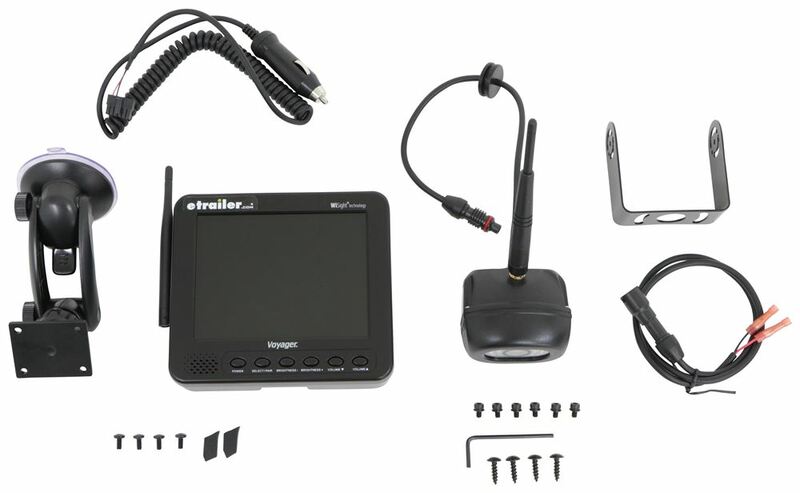 The Voyager Digital Wireless Observation System part # WVOS541 is a new in box product that comes with all of the instructions and equipment needed for installation. 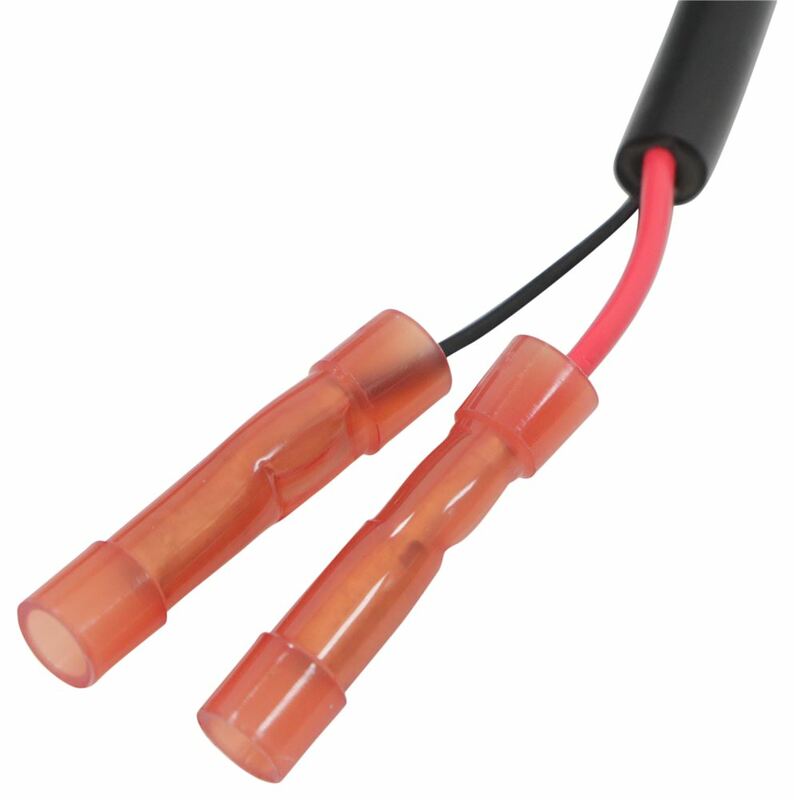 The in-cab monitor is indeed powered by a 12 volt outlet which is commonly referred to as the cigarette lighter outlet. If you do not have this outlet then you can add it using part # RM-9332. I have attached a review video of the above system for you as well. In general the Voyager cameras like the # WVOS541 that you referenced are solid and don't have transmission issues. We did have one customer come back and report that at highway speeds he had an issue but that's not the normal experience people have with these cameras. 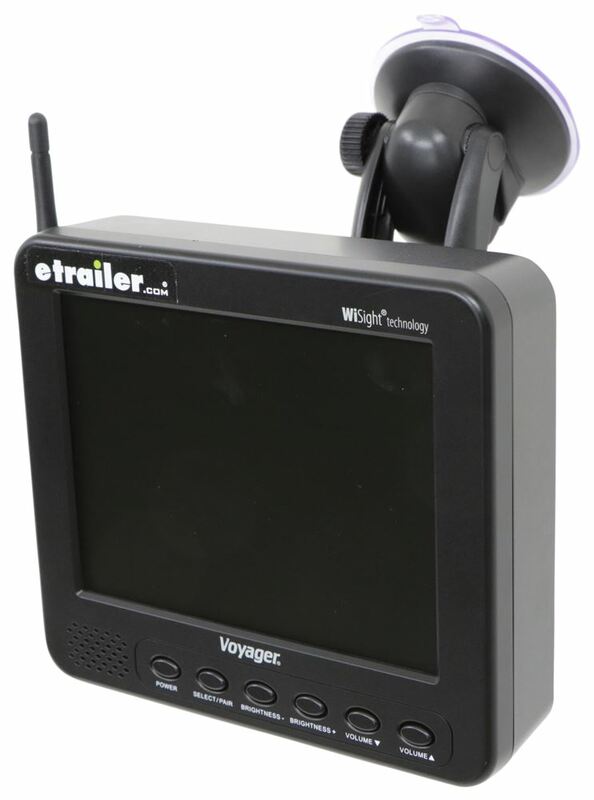 The best option to fit the Voyager pre-wiring of your 2019 Keystone Hideout will be the Voyager Digital Wireless Observation System # WVOS713 because it comes with the largest display at 7 inches. Makers of aftermarket and OEM camera systems do not design their products to be compatible with components from other brands so a camera from brand A will not pair with a monitor from brand B. The Furrion factory pre-wiring on your Heartland Pioneer is not universal either so you'll need to select a Furrion system like # FOS43TASF to take advantage of that convenient pre-wiring feature. Notes: This part has been installed. This part has been tech tested and does work as long as directions are followed per manual during installation. The wiring for the camera has a small tear in the black wiring insulation but the wiring inside is in brand new condition. The 4 mounting screws are missing and may be purchased at a local hardware store. Otherwise all other parts are present and this part still looks very new. Highest quality rv camera for the best price. 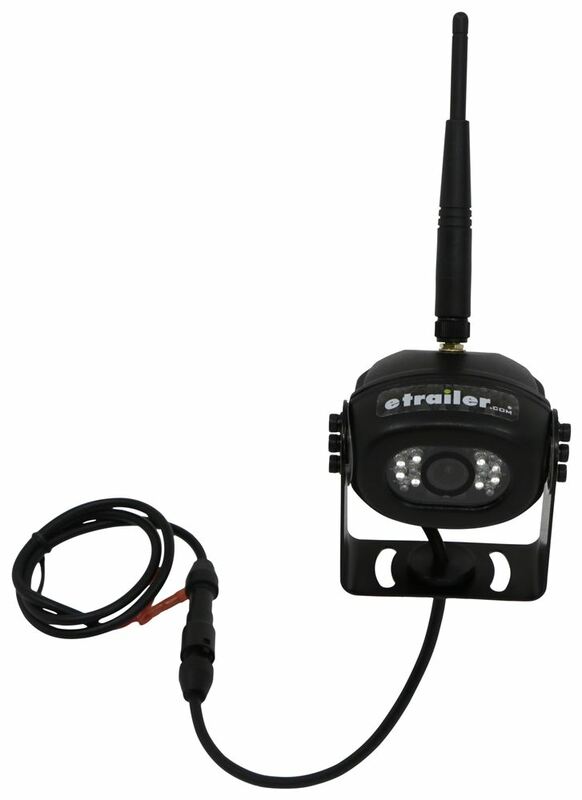 Most detailed, accurate rv camera information available.